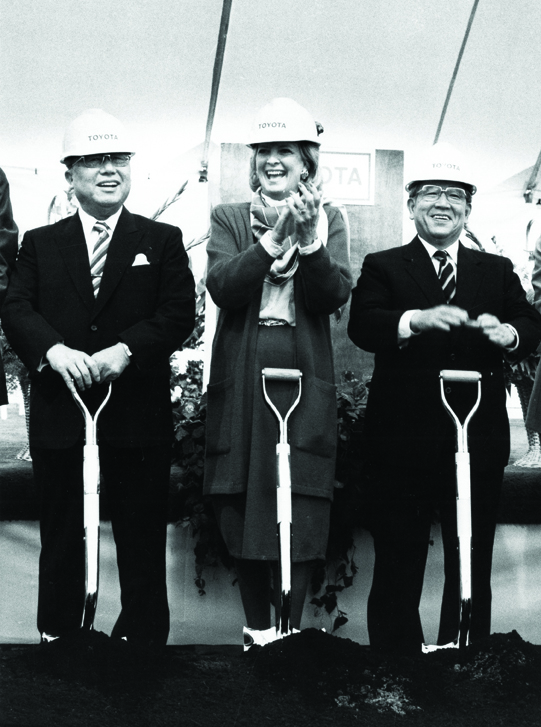 Even if we weren’t there at the time, many are likely familiar with the groundbreaking announcement by Dr. Shichiro Toyoda in December 1985 declaring Scott County, Kentucky as Toyota’s first wholly-owned vehicle manufacturing plant in the U.S. It’s amazing how much has changed economically over the years since their original $6 billion investment into this facility. Georgetown has flourished with new schools, homes, restaurants, shops, hotels, and other businesses, making the county one of the fastest growing in the state of Kentucky. One thing that has stayed remarkably the same, though: our industry’s unique emphasis on welcoming visitors from near and far, which has helped position travel and tourism as an economic power in the lives of Georgetown & Scott County residents. Kentucky’s tourism and travel industry contributed over $15 billion to Kentucky’s economy in 2017 with direct expenditures by tourists accounting for over $9.5 billion – an increase of 3.8% since 2016. Travel is powerful for cities and states, and small-town Georgetown is no exception. Direct tourist spending in Scott County generated over $119 million in 2017, which resulted in an increase of 5.5% over 2016. As a result of taxes generated by tourist spending in Scott County, households paid $1,065 less in local and state taxes. Attractions in Georgetown and Scott County have also seen a tremendous benefit from travelers to the area. 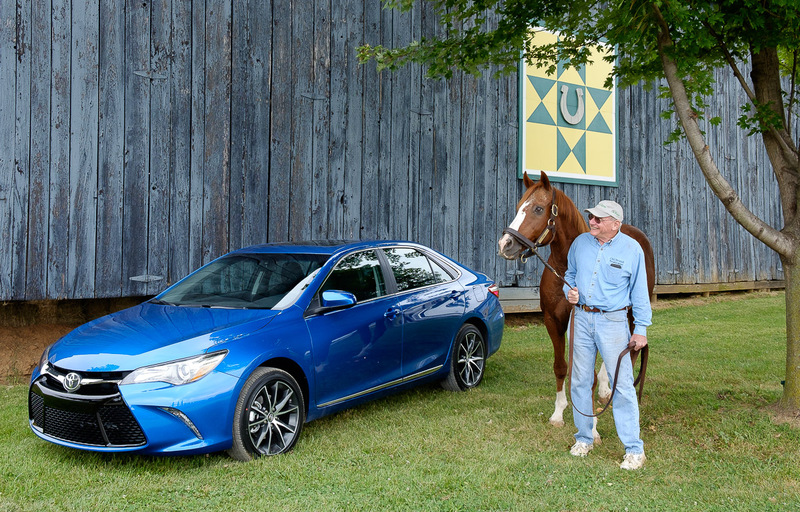 2017 brought record-high visitors to Old Friends Thoroughbred Retirement Farm, Toyota’s Visitor Center, Ward Hall, and The Kentucky Horse Park. Think back on how travel to Georgetown, Kentucky looked for a visitor prior to the Toyota Motor Manufacturing Kentucky. You’re probably conjuring up images of quaint mom-and-pop shops in downtown fueled by local visits only, and little to no restaurants or convenient stores. Now re-envision 2018: the businesses and food offerings may have changed, but the strength of small businesses supported by travel has not. Toyota is of course, a big and important name around here, but in fact, 84 percent of travel and travel-related businesses are small businesses. Take, for example, businesses in downtown Georgetown. A downtown that once housed maybe 15-20 businesses now fosters over 50 locally owned shops and dining spots, and the number continues to grow. 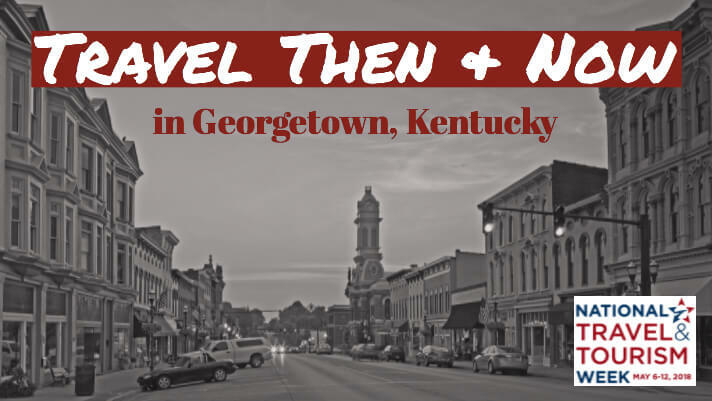 That’s why it’s so important to keep welcoming visitors to Georgetown—and why our industry is highlighting “Travel Then and Now” during National Travel and Tourism Week (NTTW) 2018, May 6-12. We encourage you to join us in observing NTTW this year, and celebrate all that travel does for Georgetown & Scott County, and for our country as a whole.